Musical Ecologies continues Thursday May 22nd with internationally acclaimed violinist Shem Guibbory. In a program titled Evolution of a 21st-century Violinist, Guibbory will be joined by percussionist Rex Benincasa to perform works by Douglas J. Cuomo, Simon Shaheen, John Mcdonald, Grazyna Bacewicz, Eugene Ysaÿe, J. S. Bach and a collaborative composition by Guibbory and Gerry Hemingway. In tracing musical thought over four centuries, Evolution will explore musical elements that are embedded within and shared between many of the musical works as well as some of the geo-political facts that have shaped creative ideas and enabled their flow across borders and generations. The evening will begin with a conversation with Guibbory, Cuomo and Mcdonald hosted by series curator Dan Joseph. Internationally acclaimed violinist Shem Guibbory is an award winning soloist and chamber musician, and a creator of mixed-media performance art. Through his company Innovative Music Programs, founded in 2002, he has developed a series of imaginative programs that reflect his desire to develop an expressive performance language derived from the intrinsic unity of the Arts. In his latest CD, Voice of the People (2010), he combines Gabriela Lena Frank’s Peruvian-influenced music with Dimitri Shostokovich’s Sonata For Violin And Piano, Op.137 (1968). 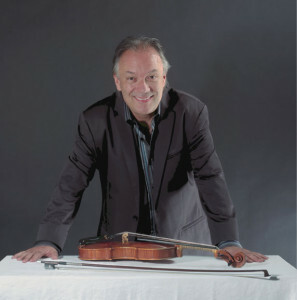 Since 1992, Mr. Guibbory has been a member of the first violin section of the Metropolitan Opera Orchestra and has appeared as soloist with the New York Philharmonic, the Beethoven Halle Orchestra, the Kansas City Symphony and the Symphony of the New World. He was the original violinist in the Steve Reich Ensemble – his recording of Violin Phase on the ECM label has become an American classic of avant-garde music – and has performed recitals and chamber music throughout the U.S., Canada, and Europe. A graduate of California Institute of the Arts, he has served as co-chair of the Special Projects Committee of the CalArts Alumni Association (2005-2009) and was one of the lead artistic producers of West Goes East, a 30-year retrospective of CalArts alumni performances which sold out its four New York City performances. He presently serves on the Board of Directors of the Recording Musicians' Association, NY Chapter (2011 – present). Post a comment — Trackbacks closed RSS 2.0 feed for these comments This entry (permalink) was posted on Thursday, April 24, 2014, at 3:29 pm by Dan Joseph. Filed in press release.